Breeze right past that long line of people outside the Colosseum on this intriguing guided walking tour of Palatine Hill, the Forum and the Colosseum. Use your skip-the-line access to go right to the heart of the Colosseum where the guide will regale you with fascinating tales about the gladiator fights and the 'bread and circuses' that went on here for hundreds of years two millennia ago. 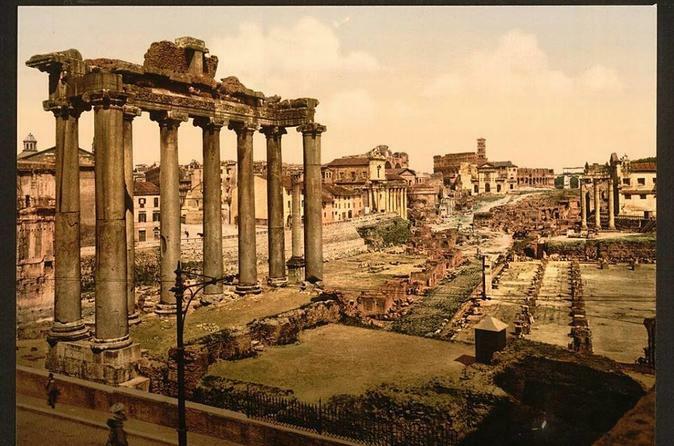 Stroll around the immediate area learning about the history of ancient Rome as the guide paints a vivid picture of what life was like then.